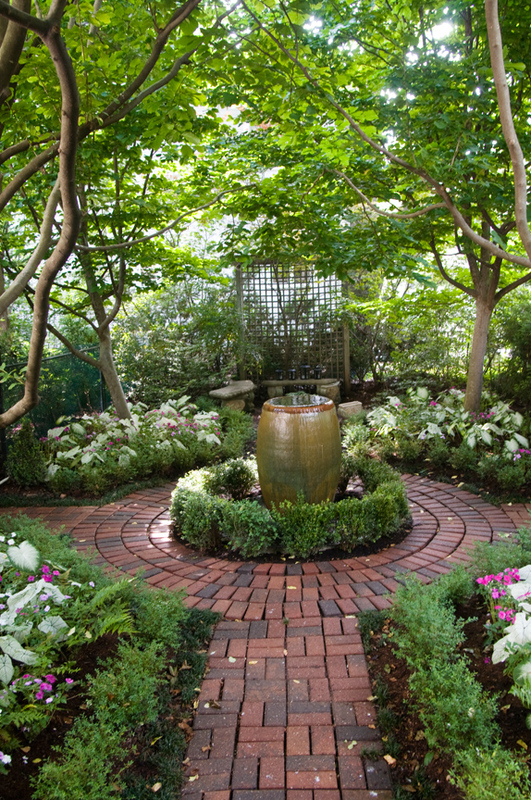 Unwind and escape the everyday in the series of breathtaking spaces created by horticulturist and garden designer Chuck Beard. 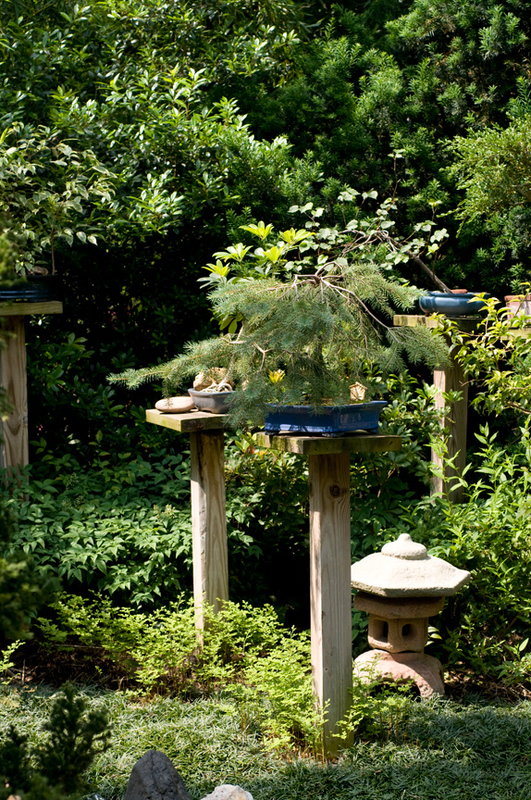 Chuck Beard's Webster Grove garden is made up of numerous beautiful spaces that flow together as one. 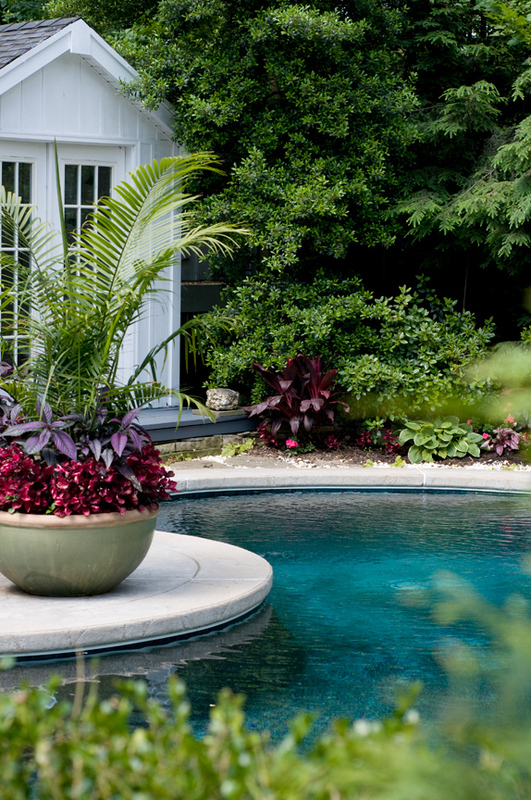 Lush tropical foliage surrounds the deck of the free-form, salt-water pool. 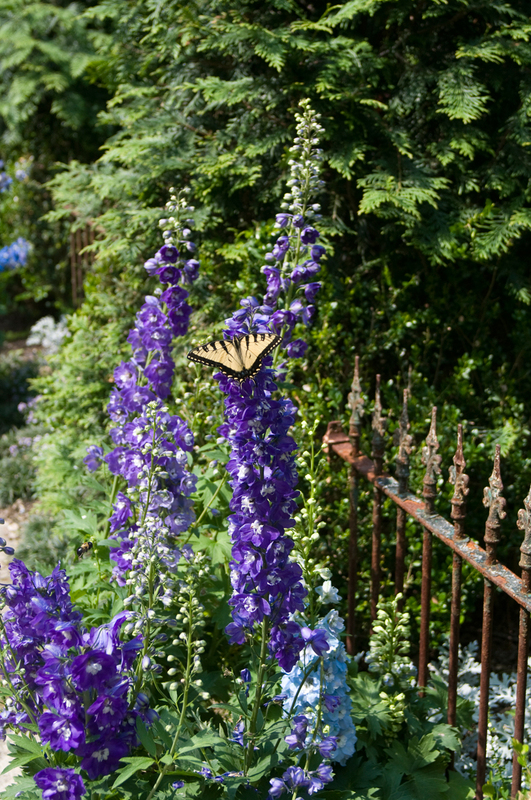 A yellow butterfly pauses on a delphinium and provides a beautiful contrast to the bright blue color. The interesting foliage of a fig plant provides a backdrop for a lion's head artifact from an old St. Louis building. Chuck Beard is a man who practices what he preaches. 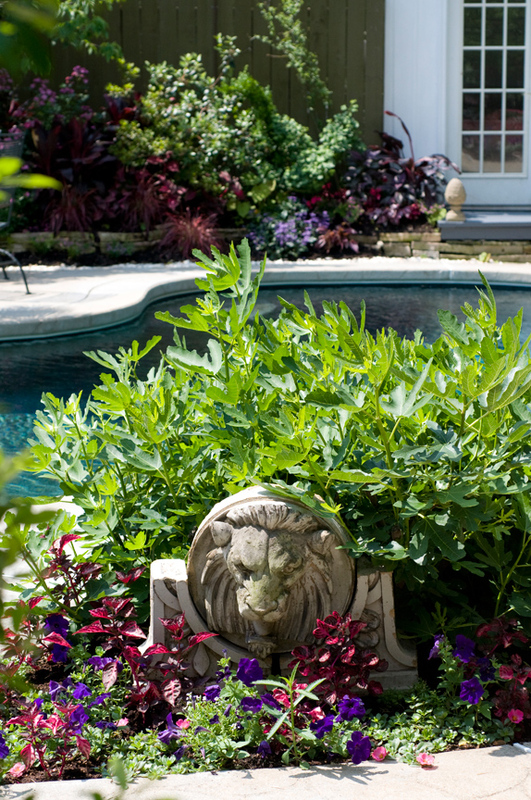 A horticulturist and garden designer, he has spent nearly 27 years creating beautiful gardens throughout St. Louis. But perhaps the most beautiful testimonial to his talent has been in his own yard. 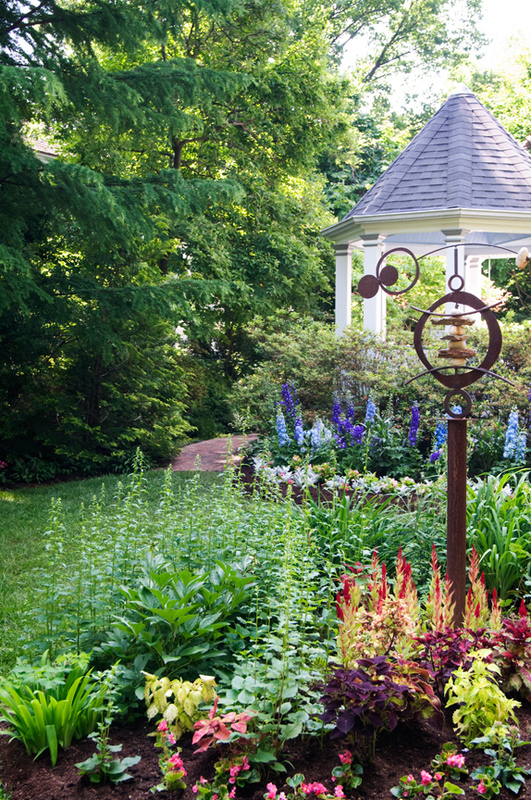 Featured in numerous national publications and on prestigious garden tours, the Webster Groves home and landscape he shared with his longtime partner the late Charles Parrish, and then Adrian Keys, moves visitors through a series of breathtakingly beautiful spaces and pathways different in style, yet cohesive in flow. 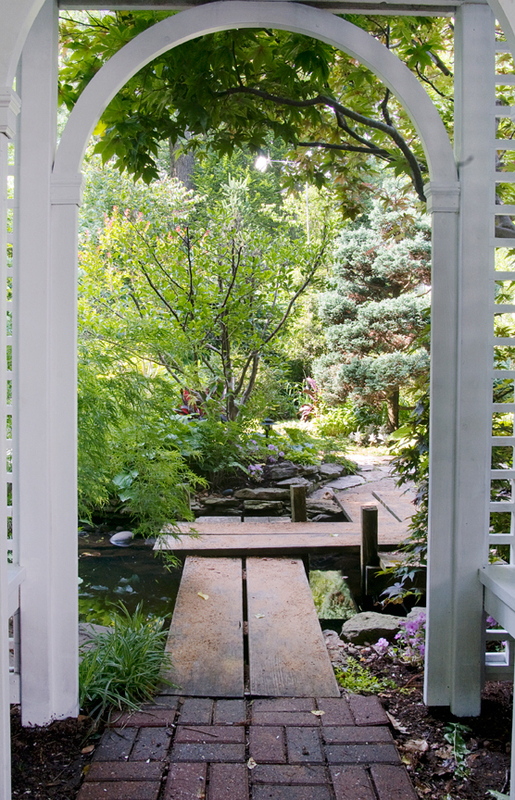 A shady walkway from the front yard leads to an arbor gate. Open the gate and you are in a fountain-centered, brick courtyard with a New Orleans ambiance. 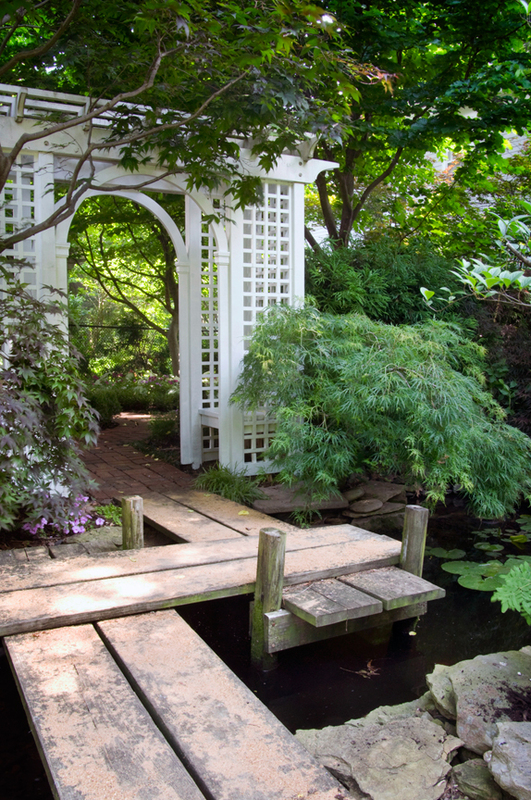 Go through an arbor on the opposite side of the courtyard and you step into a Japanese garden, complete with a crooked bridge, koi pond and waterfall. From there, stroll through a sidewalk café set with a table and chairs for a bite to eat, move on to a rustic walk through the back of the yard. Eventually, find your way to a tropical paradise, where lush foliage surrounds a saltwater, free-form pool with the azure hue of a natural pond. Some of his favorites include: false cypress (Chamaecyparis) evergreens for the fernlike foliage and wide variety of shapes, colors and textures; boxwoods, which in addition to being evergreen have a small flower in early spring with a lovely fragrance; azaleas for their spring flowers, fall color and winter foliage; aucubas for their evergreen tropical-like foliage and adaptability to everything but soggy conditions, and nandinas for their lacy, evergreen foliage, showy white blossoms and red fall color and berries. 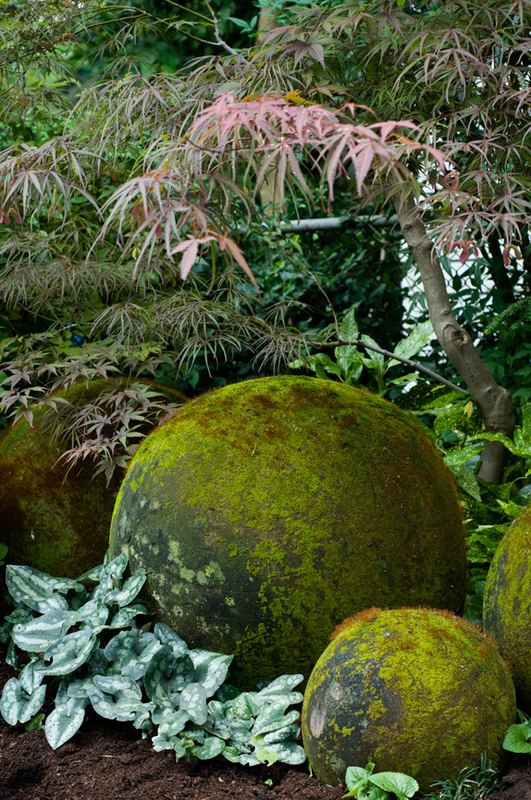 Two particular evergreen shrub favorites are "Green Giant" arborvitaes and smaller "Graham Blandy" boxwoods. Both are hardy in the St. Louis climate and have narrow, vertical growth patterns that work well in many landscaping situations. Another common mistake, he notes, is not paying attention to the cultural requirements and trying to grow a sun-loving plant in the shade. “Pay attention to the plant tag,” Chuck stresses. With a solid career as a garden designer behind him, Chuck is planning to take the next logical step and pursue a degree in landscape architecture in the coming months, “because my back can’t handle the heavy work anymore,” he frankly admits. With no local school offering a landscape architecture degree, Chuck and Adrian are relocating to Florida, where they already own a condo. “My biggest worry in moving was finding someone who would appreciate the garden and keep it up,” he admits. That worry was eased when Lynn and Alex Hromockyj came through the house last September, just after it had gone on the market. With a background in and love of gardening, Lynn had such an emotional reaction to the house and the garden, she admits being almost teary eyed after her first tour of the property.